Helping you to achieve more professional blow dry results, this Ceramic Vented Radial Brush by ghd is designed by specialist brush makers to make styling easy. 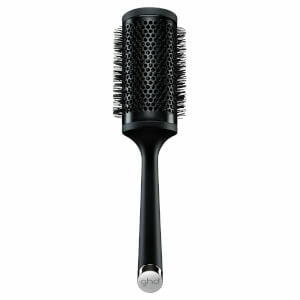 With a large barrel size perfect for blow drying hair, this brush works to retain heat for a faster dry. 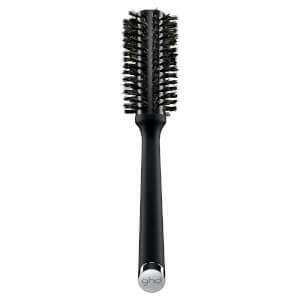 Available in four sizes for different lengths of hair, this brush will give your hair lift, volume and movement and requires minimum effort from you. The signature platinum toned end cap with a soft touch, non-slip finish, is designed to enable better control when your hair is wet, creating the perfect foundation for using your ghd styler. The quality of the brush is very high. It comes in an elegant box. This size is quite small which is great for creating waves and curls. Great grip that makes it easy to work with.